I observe Shabbat every Friday night. Well, kind of. I mean, I try to. I’d like to. But with four kids and all the summery stuff we try to pack into three short months, it can get pretty tricky for a busy, modestly observant family like mine. I do a much better job in the winter, when the sky darkens before I can even get in my afternoon coffee fix. Sundown just seems more prominent in the daily schedule in those dark months. During the school year, when it’s Friday evening, out comes the challah, the candlesticks, the wine. With the summer’s late sunsets, Shabbat seems to be less on our radar. Still, I like to keep the tradition alive. So, over the years, I’ve developed some tricks and tips to have that Shabbat feeling, stress-free summertime style. Here they are. 1. Pre-order or pre-purchase the challah. If I purchase the challah early enough in the day, the soft, doughy carbtastic creation will whisper my name from the counter, and not let me forget it come dinnertime. There’s a farm-stand near our summer rental that bakes their own challah and I have a standing order. I usually remember to pick it up, though sometimes my babysitter does in the middle of the kids’ dinner. We get two challahs each week: one for Friday night Shabbat dinner, one for Saturday morning French toast. Yum. 2. Put the candlesticks out early. Does the sun ever set in the summer?! There have been a few recent nights I’ve had to force myself to stay awake until it does. 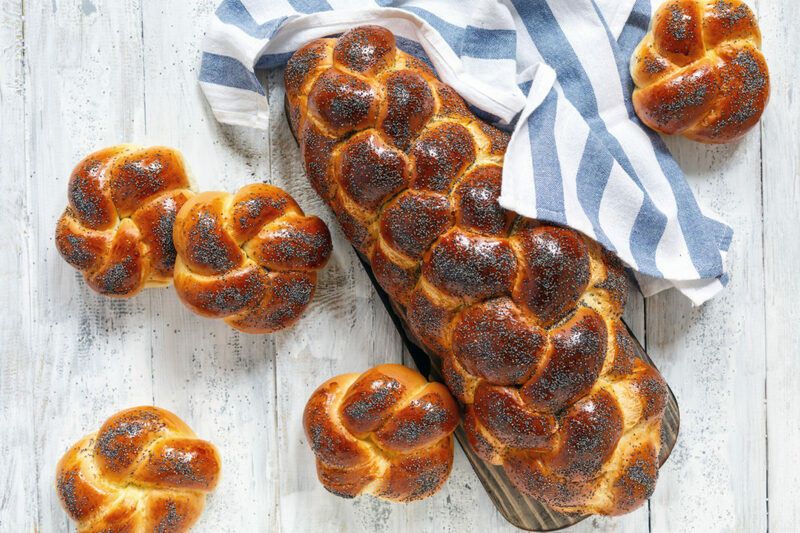 If we waited until the sun set every Friday, we’d be having a midnight challah feast. So instead of “three stars in the sky” and all that, we welcome Shabbat whenever it works best for us. 4. Come as you are. With four kids and a sun that’s still blazing when it’s time for the littles to go to bed, I can’t get my act together for a fancy Friday night dinner. So I’ve given up on formalities. Wear your jammies, wear your bathing suits. Whatever. 6. Better late than never. If you happen to be a day late and realize you’ve forgotten to welcome Shabbat, just do it right then. Light the candles. Say the blessings. Eat the challah. Drink the wine. This is not hardship duty! So even if it happens to be Sunday night, just take a moment to stop and thank God. God will likely understand. And if not, well, there’s still bread and wine. If you invite another family over for Shabbat dinner, you definitely won’t forget. Welcoming Shabbat together is intimate and warm experience; it doesn’t have to be formal or perfect. So gather friends together and thank God for them, too.